To make this dish, I recommend making the onions ahead of time – even the day before if you’d like. 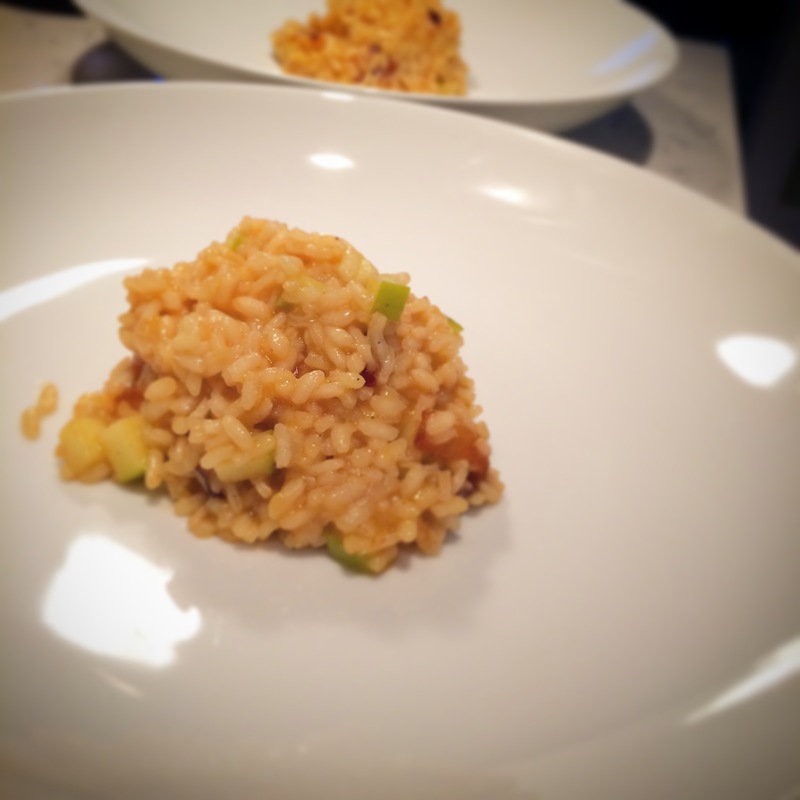 They take 45 minutes just by themselves, and risotto is not a small time investment. However, if you’re so bold, go ahead and make them at the same time – I’d start with the onions and once they’re 15 minutes in, then start the risotto. When the wine is fully absorbed, add ½ – ¾ cup of broth to the rice, letting it fully absorb before adding more. For best flavor, add a pinch or two of salt after each addition of broth. Once the onions are well caramelized, deglaze the pan with the wine to reincorporate the fond that has formed on the bottom of the pan. Let cook an additional 3-5 minutes.